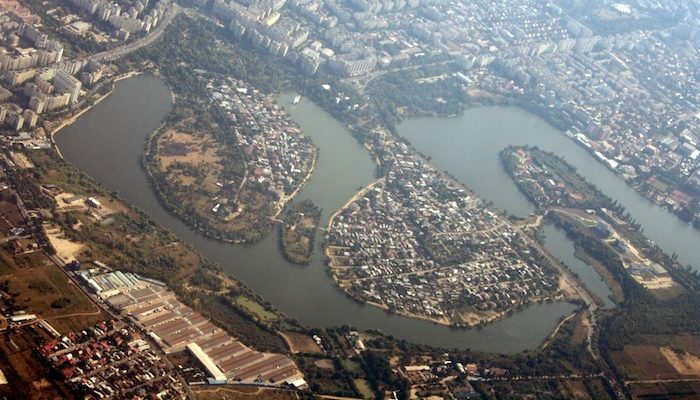 Though Herăstrău Park is the top running choice along Bucharest’s northern lakes, runners will find a more peaceful choice for a waterside park run in Lake Plumbuita’s Plumbuita Park. It’s not as large as some of Bucharest’s other parks, but it’s a great 3 km loop. Start at the park’s south entrance, near the Mrs. Ghica Clock, and run along Colantina to the canal. Then turn LEFT into the park, run north along the lakeshore, then around the bend at the Plumbuita Monastery, which perches on the lake, to return south on Strada Ricinului which will deliver you back to the south end of the park. Run a couple of laps for additional distance.